Danny has been a staunch advocate of the Westmead Redevelopment project and the overall transformation of the Westmead precinct. At the start of 2018, Danny took a tour of the new hospital building site and remarked at the time on the spirit of collaboration on the project. “It’s wonderful to see the goodwill between the Westmead project team, Health Infrastructure, the designers, architects and the various builders and contractors, including Multiplex, our main works contractor, who have brought the project to this point,” he said. Danny has been front and centre for many milestones across the project, including celebrations for the opening of the new multi-storey car park, refurbished spaces, the completion of early works and the announcement of Multiplex as the main works contractor. “Danny has provided genuine executive sponsorship of the project’s integrated project team – the first in NSW. 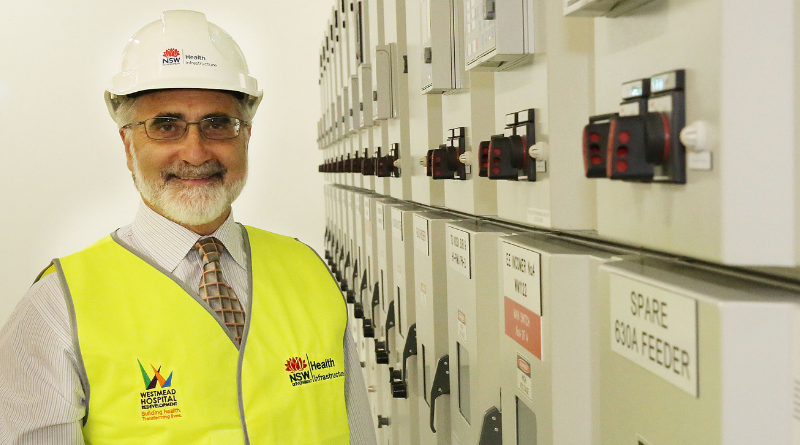 He has long championed the collaboration with all the precinct partners, which has been an essential ingredient of the redevelopment project at Westmead,” he said. Goodbye Danny – the Westmead Redevelopment project team will miss you greatly and wish you good luck in your retirement!